Our team is made up of industry experts who have dedicated their careers to improving the outcomes of young children. 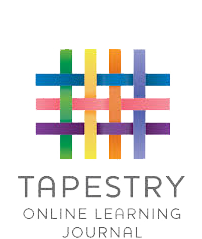 Whether your child joins us as a baby, toddler or pre-schooler, our team will work with them and you to plot their journey along the normal Early Years framework embedding old skills and creating opportunities to explore and learn new ones, whilst also considering different ways of learning and how to engage and extend your child’s natural curiosity. We are also proud to employ a range of talented and qualified people working in our kitchens, our admin office and maintaining our facilities, to keep our nursery buildings and paperwork in top shape and our children full of delicious food. All our team members are employed using strict safer recruitment practises, and hold a clear and enhanced DBS. 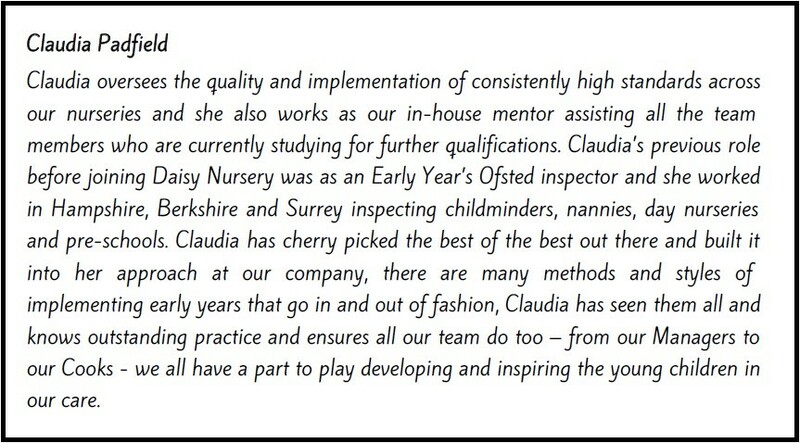 Our senior leadership team comprises of our Quality and Training Manager, Claudia Padfield and our Operations Manager, Clare Canning. Both ladies have worked in our industry for years and are qualified Early Years Professionals; their extensive knowledge and wealth of experience supports and coaches our team members each and every day. 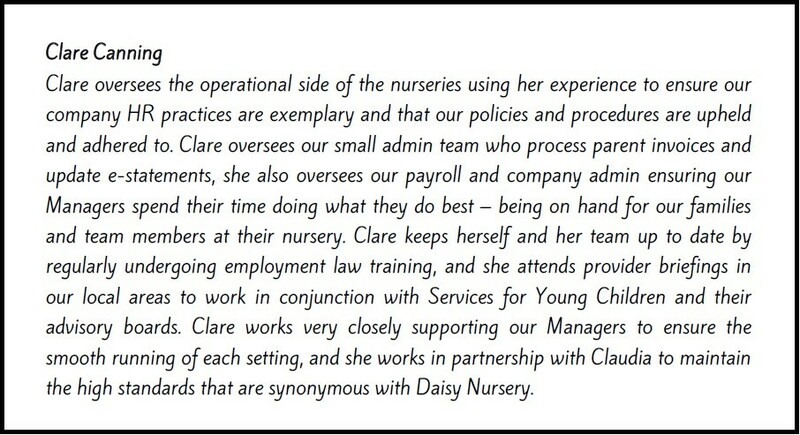 For more information about their backgrounds and specific roles at Daisy Nursery please click on the adjacent daisy. The most important thing to know is, because both ladies are experienced and passionate practitioners at heart, you will often see them sharing a story in Pre-school, digging in the dirt with the Toddlers or enjoying a cuddle in Babies when they really should be marking an essay or chasing a late paying voucher company… but we wouldn’t have it any other way!